SellingRestaurants asks, are you looking for a stand alone coffee house? With a comfortable atmosphere, wooden floors throughout, and seating centered around a fireplace, gorgeous outside dining, this place captures all that is quaint and desirable about this North San Diego city. Talk about relaxing there is even a beautiful Koi pond to enjoy! Have your own concept? anything goes, add a hood system for Mexican, sushi, or Italian. The location even has beer and wine license. catering, and/or possible drive-up window. 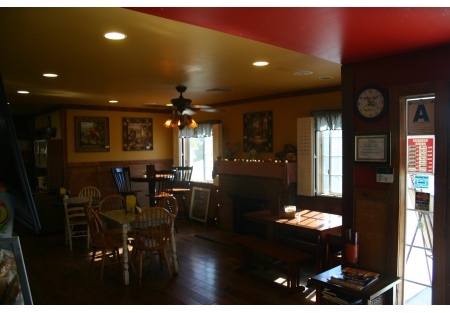 Take the next step and select the orange button below to get the name and address of this great coffee house.This is a Paramount Restaurant Brokers, Inc. DBA SellingRestaurants.com listing.